DRY PAK® Multi-Purpose waterproof Case. Long clear heavy gauge vinyl with 2 D-rings sewn to corners. Keeps your electronic gizmos, clothes and gear clean and dry at the beach or water park, on the boat or hiking trail. Padded and lined interior protects contents; rugged waterproof nylon keeps out water and rain. Mesh pocket on exterior keeps keys or small necessities handy; adjustable shoulder strap makes it comfortable to carry. 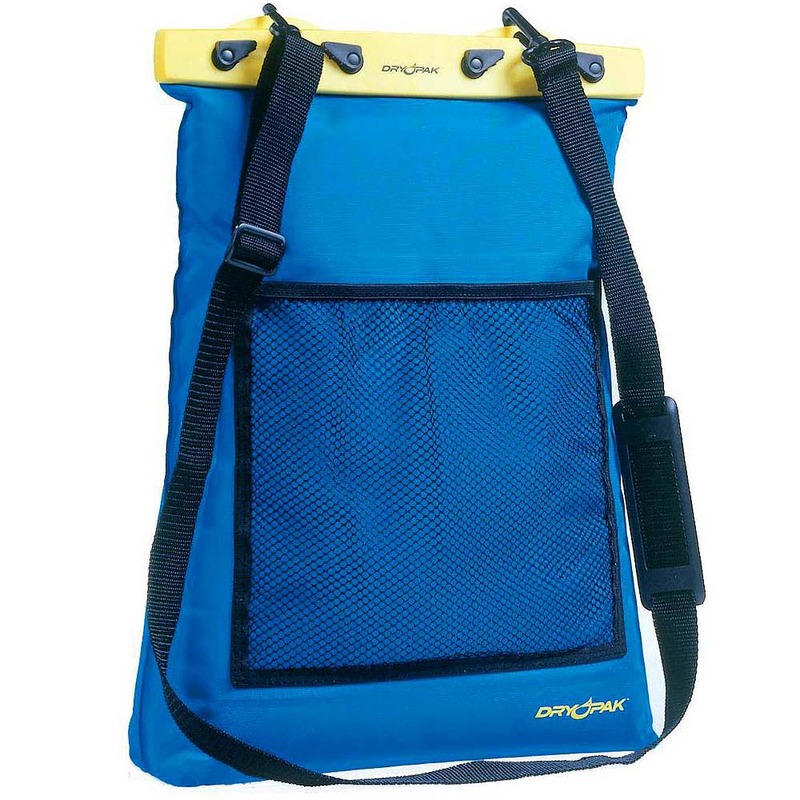 Ideal for camping and outdoor sports, the blue bag has a bright yellow sealing clip for high visibility. Holds gear up to 22" circumference.